The happy union between beautiful web design and effective SEO. Because you shouldn’t have to choose between one or the other. Build your business not just a website. Book your new website project now and get a heart-warming 15% off all our web design packages. Are you looking for a beautiful custom website primed for search engine optimisation (SEO)? Want to extend your brand reach and potential? Or maybe you’re looking to sell your goods on line? Whatever you might envision, we’d love to help you turn it into a reality. A custom website that champions your brand and enhances your market reach. Tried and tested SEO architecture that gives you a competitive advantage. Clear, straightforward pricing options to suit your budget. No hidden fees. Payment plans available. We want you to absolutely love your website. We build, shape, polish and tweak until you’re happy. Prompt follow-up, clear communication and beyond-the-call service. We over deliver … every time! Our goal is to help you master and manage your own online presence when our project concludes. Check out our demo templates and styling options. Squiz and scoop your favourite features! IS YOUR WEBSITE SEO POOR? Is your website buried deep down in the Google graveyard? What good is a great looking site that nobody can find, right? Let’s revive your site’s potential and get it working for you. Explore your options today. Get Craig’s book on special. Now just $3.99 on Kindle! PAPERBACK and eBOOK both available. 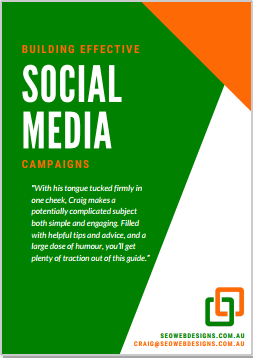 Pick up Craig’s invaluable 44-page PDF today and make social media work for you! Plus, he’ll keep you in the loop with important Google and SEO-related news. Why use a web designer? For the same reason you go to a hairdresser rather than taking scissors to your own hairdo. A botched haircut can leave you red-faced; a poorly designed website can cost a business dearly. Structure your site’s architecture for SEO. Optimise your images and technical metrics for good page-loading performance. Ensure your site responds well on all devices. Register your site with Google, including submitting the necessary XML Sitemaps. Give your business the best chance of success. It’s too important to fudge. There are numerous website Content Management Systems available but WordPress is the world’s most popular CMS for a reason. Not only does it allow you to customise your website in sync with your branding, but it is also primed for knock-out SEO. What’s more, WordPress is one the easiest CMSs to master, allowing you to manage your own online presence after our project concludes. Our Classic and Turbo packages take around 3-4 weeks to conclude. The Premier and e-com packages take around 6-8 weeks. Some clients prefer to take a little longer in order to assimilate all we do, and that’s perfectly fine, too. We work at your pace. If your project is more urgent than the above time frames allow, let us know and we’ll see whether we can accommodate you. For our website and SEO packages, we charge a set price so you know exactly what you’re in for. No hidden fees! And yes, payment options are available. Check our pricing page for specifics. For custom services, we charge $80 per hour. If you’re a previous client, you get 20% off our per hour rate. We’re confident that you will not get better pricing anywhere in the country for what we offer. While many web designers major on graphics and skimp on content, we find the happy union between the two, and build our websites in sync with Google’s SEO criteria. Remember, Google “feeds” on content and cannot “see” graphics. Your website needs to take this into account. What good is a fancy website that Google cannot decipher? Because we know how to marry beautiful web design with cutting edge SEO. Because we’re only happy when you’re happy. Because we empower you as the master of your online presence. Because we over deliver … every time! Using the best web design software available, aided by a coal-face knowledge of Search Engine Optimisation (SEO) best practices, we offer gorgeous web design that is SEO-savvy. Plus, we offer comprehensive marketing solutions built around winning SEO. We’ve served clients in a number of diverse industries. 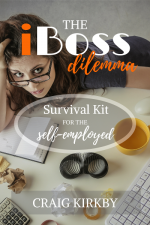 From photographers to ballet schools, from online stores to tradies, from restaurants to life coaches, from NGOs to rental companies, and from sole traders to personal blog sites. Let’s create an amazing online presence that helps you enjoy your slice of the SEO pie. GET YOUR WEBSITE AND SEO RIGHT THE FIRST TIME. IT’S TOO IMPORTANT TO FUDGE.